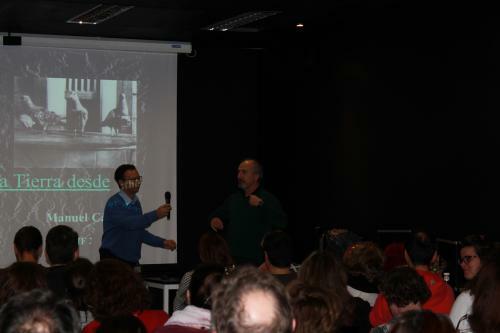 On the 6th of February, the first teachers' workshop of the year was inaugurated, held by the CESAR Team together with West CTIF. 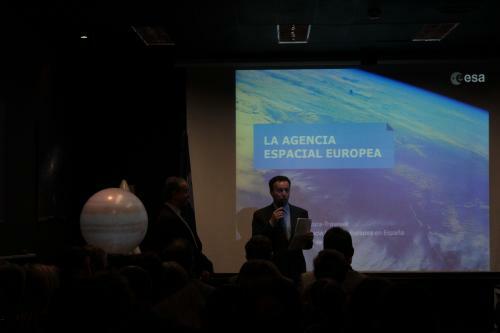 For this event we had the privilege to enjoy the presence of the Education Counsellor from Madrid (D. Rafael Van Grieken), the mayor from Villanueva de la Cañada (D. Luis Partida) , together with representatives from ESA (D. Javier Ventura-Traveset, D. Javier Delgado, D. Michel Breitfellner) and from CTIF (Dña. Mercedes Galeano). 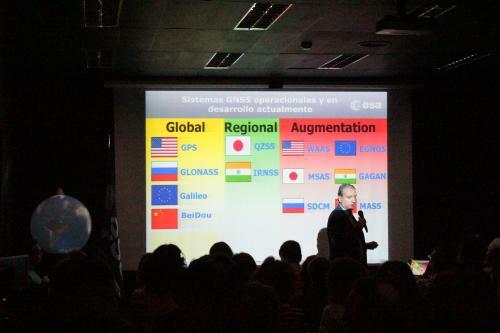 We had the honour to have the Spanish ESA astronaut, D. Pedro Duque attending. This workshop was the 3rd edition held at ESAC during the 2016-2017 school year. 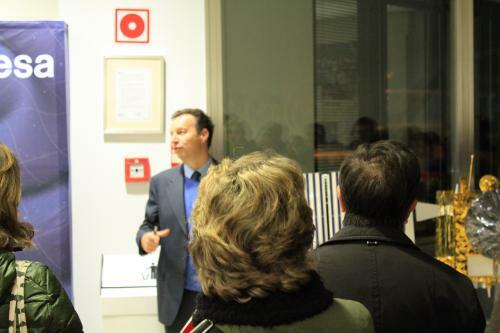 As in the previous editions, the main topic was "Space", but the agenda was brand new. 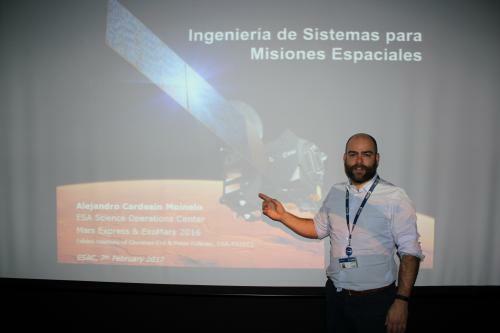 The main topics were related to the study of the Earth (with missions such as SMOS) and the state-of-art of satellite telecommunications activities (with Galileo). 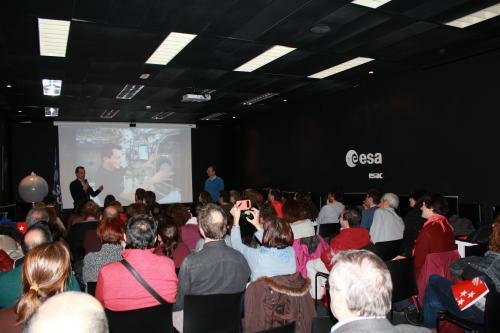 As special surprises, the teachers were given the chance to chat in a relaxed atmosphere with our astronaut (Dr. Pedro Duque). 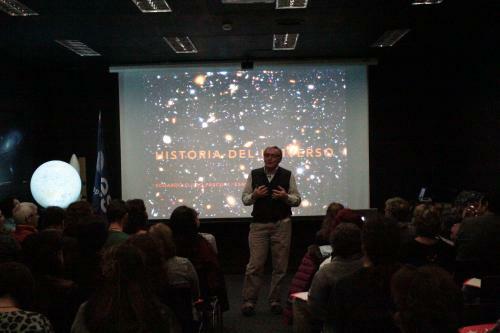 In this chat, they found together new ways to transmit the passion for Space to the students. 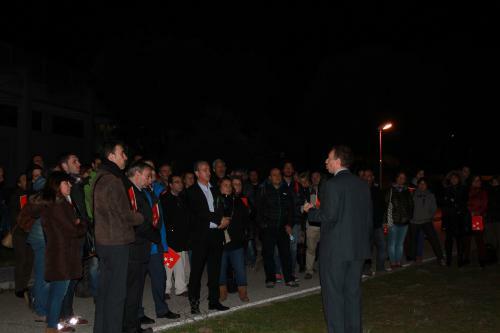 It was obvious that the admiration towards our astronaut was not limited to the youngest ones. 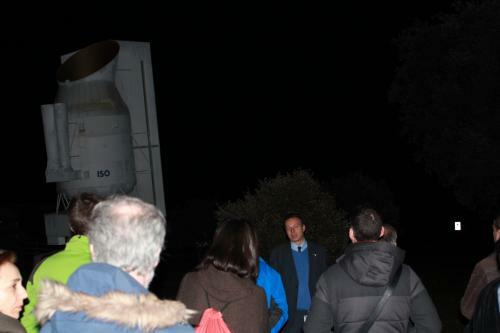 Another great surprise was given by Dr. Michel Breitfellner and Dr. Javier Ventura, who showed the teachers the ESAC centre and explained to them each of the missions in which ESAC personnel were involved while they were inspecting the spacecraft models at ESAC. 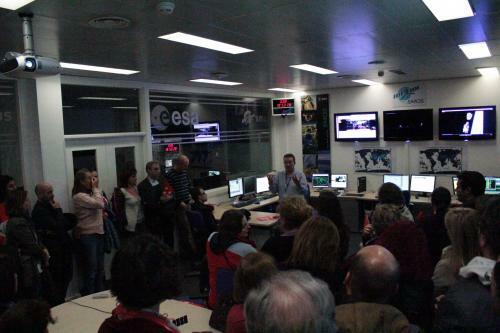 Dr. Michel, the CESAR Team coordinator, also showed the teachers the ESAC control rooms of the SMOS and XMM-Newton projects. The CESAR Team, with the unconditional support from West CTIF, felt very satisfied for having transmitted their knowledge to the teachers, taking into account the huge effort that the teachers made during the workshop to become better prepared in order to be able to teach this subject to their students.